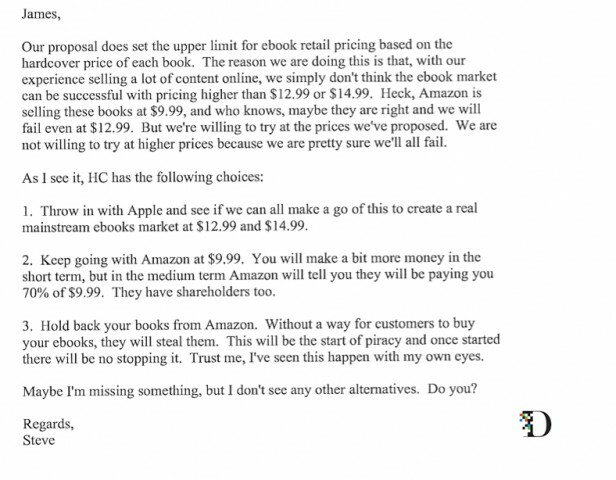 That’s an excerpt from an email sent by Apple co-founder Steve Jobs to James Murdoch of News Corporation (which owns this site) that figures prominently in the Department of Justice’s looming e-book price fixing case against Apple. 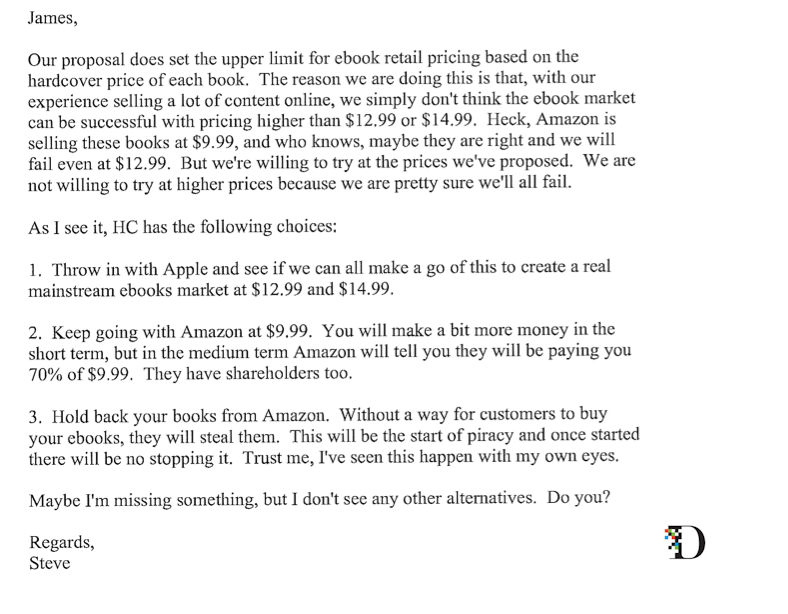 The DOJ claims it’s clear evidence that Apple conspired with Murdoch’s HarperCollins imprint and other publishing companies to raise e-book prices and undermine Amazon’s $9.99 e-book pricing model. And, taken out of context, it might be. But put in context, with the other dozen or so sentences in the message that contained it, that line seems a little less damaging. 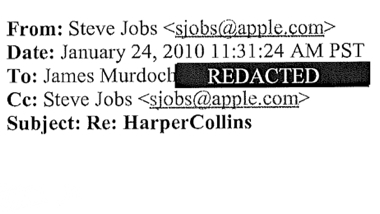 Certainly, it doesn’t quite imply that the two execs are about to embark on a “caper.” Read as a whole, Jobs’s email doesn’t have quite the conspiratorial tone the DOJ suggests. The late Apple co-founder doesn’t seem to be presenting $12.99 and $14.99 as hard and fast prices, but as price caps in broader pricing tiers. And he openly concedes that the agency model he’s proposing may well fail and that publishers who opt against it may succeed. Now, this is but one piece of evidence in a much larger case. And the DOJ does claim to have other evidence that reflects poorly on Apple, specifically testimony that suggests it used its prowess in the apps market to push reticent partners into signing its e-books deal. But in this particular case, it does seem to have cherry-picked a quote for maximum effect. In the end, it will be up to the court to decide which interpretation to embrace. Below, Jobs’s email, and below that, the full exhibit from which it’s taken.